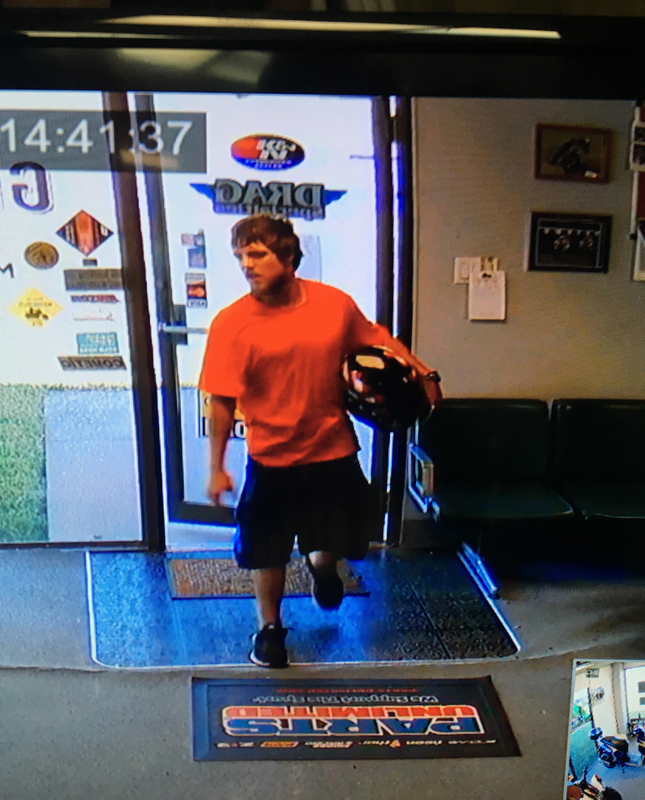 Gilbane Motor Sports, 608 Nebraska Avenue, reported a theft of a helmet from the business. Video turned over to CPD shows this male as the possible suspect. If you have any information on his identity or whereabouts, please call CrimeStoppers at (573) 875-8477.